Watch the last 2 minutes of this fine talk (we failed to find an Ogg Theora version of it, but we found a full transcript). I’d like to thank you for coming – it’s an honor to be in the same room with you. I’m one of the hackers – of the technical nature, not the law nature – of the system administrator breed, and we don’t make code, we just make sure that the machines that run the free code keep running so that the coders can, you know, keep writing it. But, it’s funny to me; in the technical world, people really like to demonize Microsoft, but it’s a lot of you know, “Who cares, their software has nothing to do with what I do, so they’re not really a part…”, but I always wondered, what would Microsoft call their Linux distribution? If they decided, you know, “Okay, we can’t beat them, let’s join them.”, and they came out with “Microsoft Linux”, would that hurt? 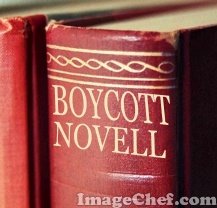 I haven’t seen my dear friend Ron Hovsepian for some weeks, so I’m going to get on his nerves by saying to you: They will call it “Novell”. Whatever they do, they will do a lot of work not to call it anything, because to be a distributor of GPL’d software – particularly of that GPL’d software – would have collateral legal consequences for Microsoft it doesn’t want. The real reason for all the patent threatening is in order to be able to use our features, in BSD licenced and other permissively licensed works, to gaudily decorate their own failing software for the next two product cycles, while at the same time getting paid for software they don’t make, through patent revenue requests, okay? The real goal is to get paid for software they don’t make, because software they do make is not selling at a very great advantage over the immensity of their costs. I’m not going to spend a lot of time here, on camera, talking about Microsoft’s strategy and our strategy, this week of all weeks, but catch me somewhere out there and I’ll say something more about it.